The best is out again connect with Prospa Ochimana. “EKWUEME ” (meaning the God who says it and does it) delivered in English and Igbo (Eastern Nigerian language) is a pure slow-tempo and power-packed worship piece. “Get ready to launch into the deep, for an encounter, to experience the marvelous works of the ONE who says it and does it. Turn on the volume and turn down worldly pressure through this song. We can’t wait to hear you share your testimonies like others around the world. Be blessed! Previous Post Download jaginma by ​Steve Crown MP3|LyricsNext PostFOR THOSE OF YOU WHO GO ABOUT GOSSIPING AND LOOKING DOWN ON UR PASTORS AND SHEPHERDS OVER UR LIVES … THIS PICTURE SHOULD RESET UR CONSCIENCE! Os hyperlinks incluem vínculos internos e externos. Searching for? Let me help you! 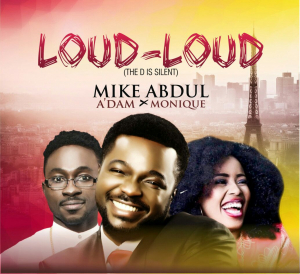 Loud-Loud (the D is silent) by Mike Abdul featuring A’DAM and MoniQue is an expression by 3 rappers who 16 bars of space won’t suffice to share their testimonies but they do their best anyway. Their conclusion is “Ose Baami O”. Produced by Tyanx. 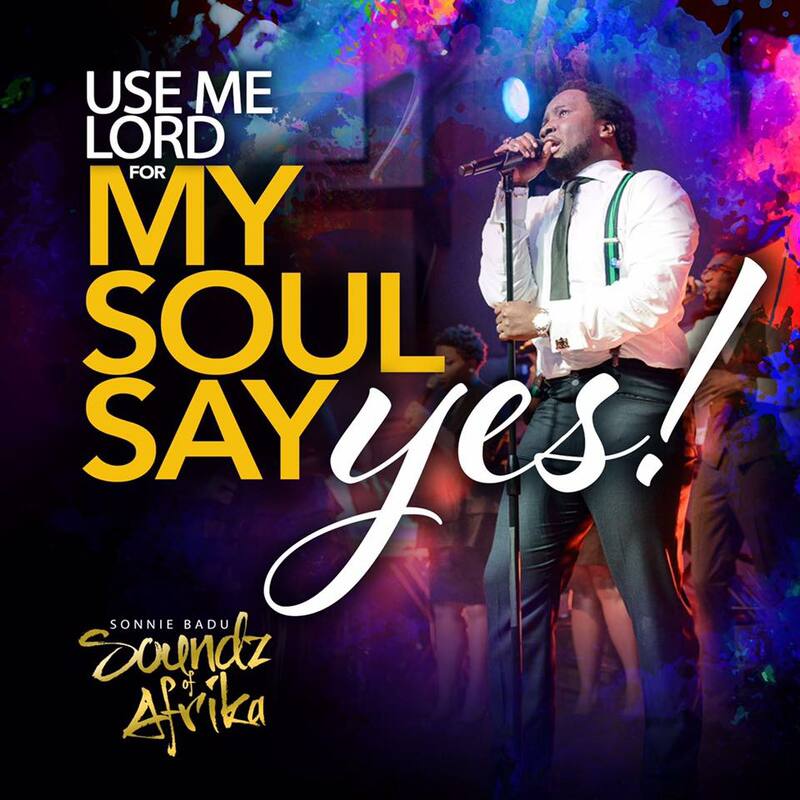 Here comes another powerful and spirit filled song from International Ghanaian music minister Sonnie Badu, Titled ”My Soul Says Yes”– off his new album “Soundz of Afrika“. 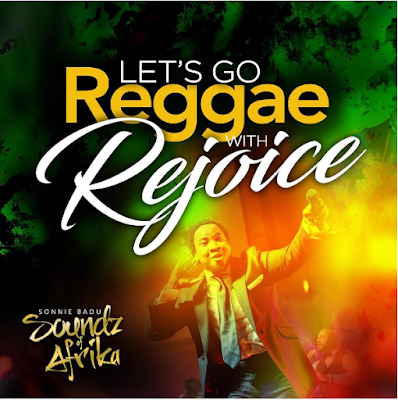 “Soundz of Afrika” was recorded in November 2014 at the New Psalmist Baptist Church, Maryland. 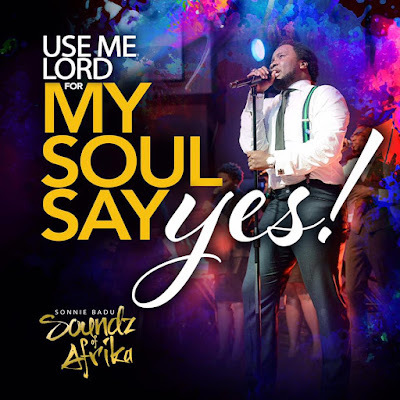 Recorded under the theme “African Gospel in Classical Hymns and Songs”. 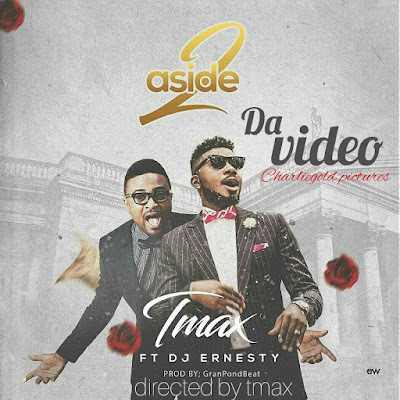 Well this new music video by our regular gospel hit maker “TMAX”, titled: “2 ASIDE”featuring Nigerian’s no 1 gospel music DJ “DJ ERNESTY”will not only blow your mind, but will also clear all your doubts. 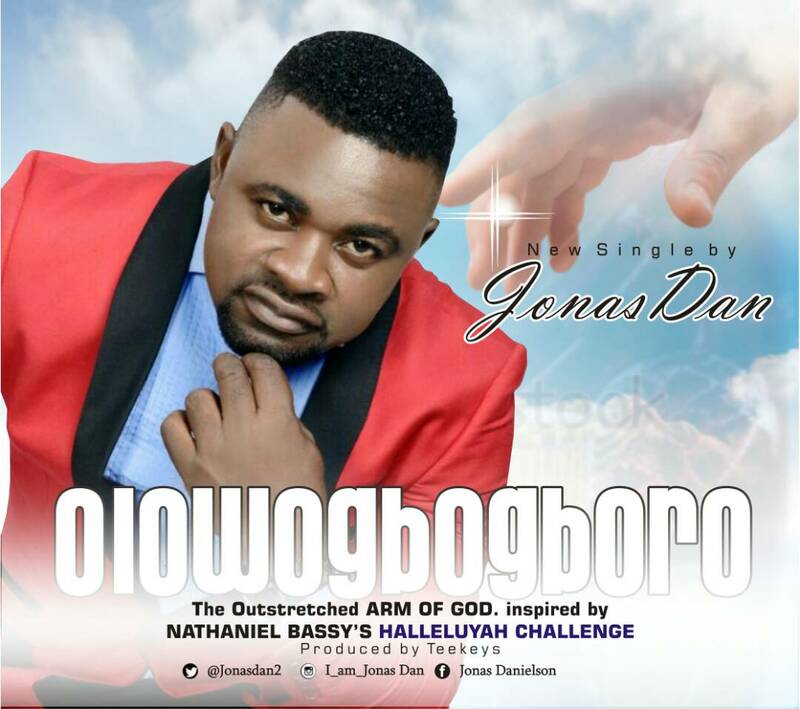 Olowogbogboro by Jonas Dan was Inspired by Nathaniel Bassey’s #HalleluyahChallenge, OLOWOGBOGBORO is the expression of the moment. There’s been loads of testimonies of how God is healing and delivering people and nations from different kinds of problems with just a mention of the name Jesus. 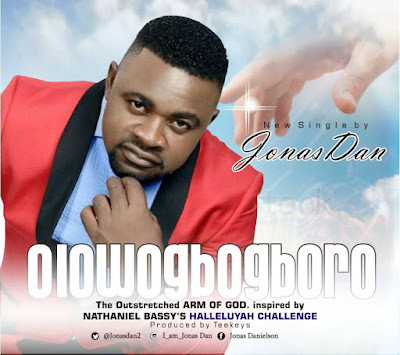 Wow!What a name – Olowogbogboro (The Outstretched Arm of God). It’s awesome and that’s what we need in our generation today. We need God to stretch out His mighty hands and touch us in every areas of our lives, jobs and family. We need him to touch our land and help our leaders to chart a good course and make good decisions. Just plug in to this song and see God turn your life around, you are next in line for a miracle. GRACE is God’s free gift to all and any can benefit from it as long as they come with open hands and hearts to receive. But then they are different levels of Grace. And that’s what Jude Philips sings about. The kind of Grace he enjoys is on a different pedestals, he claims that he can practically feel God’s grace touching his head, tapping his shoulder and giving him direction. Hear him out for yourself. 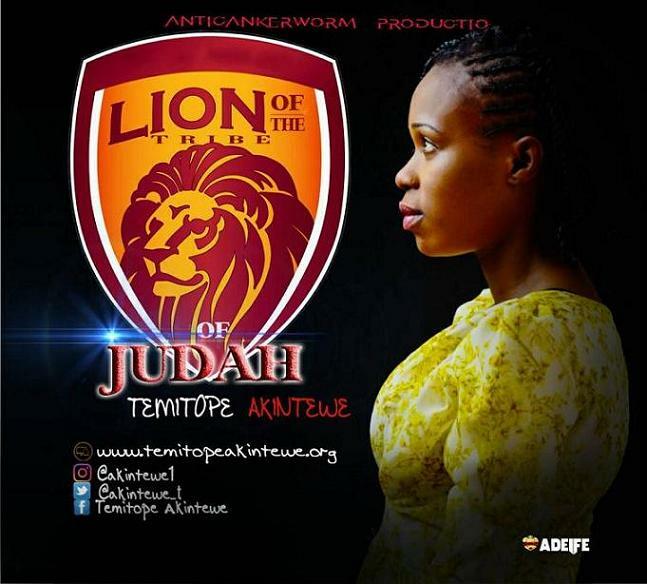 Temitope Akintewe, a Nigerian based music minstrel coming up with her first ever single, Titled: “Lion of the Tribe of Judah” which speaks more of the characteristics of our God Jehovah revealing Himself more as a chairman that overseas our lives. What else could be more fitting for this God than to lift Him up in our praises; He reigns for life. Ark Edutainment artist, and Abuja fast rising gospel star “Khevdee” drops another hit single, Titled: “T.F.M (Tap From Me)”. “T.F.M (Tap From Me)” is a mind blowing song like no other. Adura by Empraize (Ft. Efe Nathan). Nigeria – Port Harcourt based Artiste, Music director and songwriter Emmanuel Olowookere known as Empraize has released a new song titled “Adura” featuring Efe Nathan.Adura, meaning Prayer in Yoruba Language is a heart-stirring and soulful song,it is a song of hope which stirs faith in the listener. Such a wonderful blend of indigenous language and contemporary instrumentation. 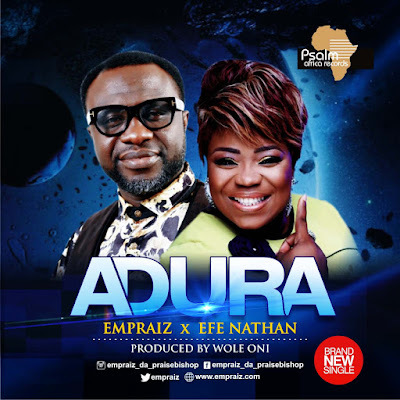 Empraiz delivers this song excellently as a Psalmist and features Vocal Powerhouse, Songwriter and Internationally acclaimed Worship Leader from Africa Efe Nathan who brings fresh fire on this song. This song will stir your heart to pray especially in these times that we are as a nation and in the world at large. As you listen and share with others, you will experience miracles and have testimonies. 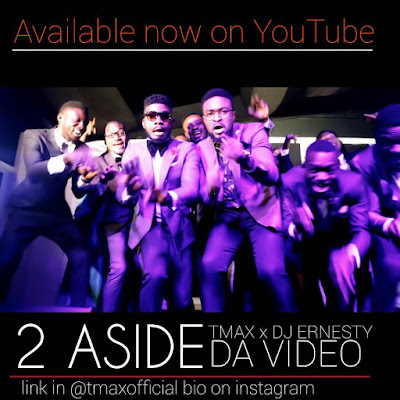 The song was produced by Wole Oni. 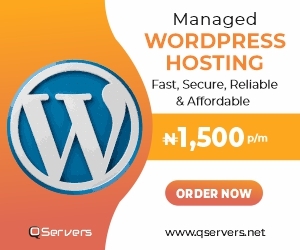 from Edo state, Nigeria. He was born and brought up in Kogi state but presently schooling & residing in Lokoja. 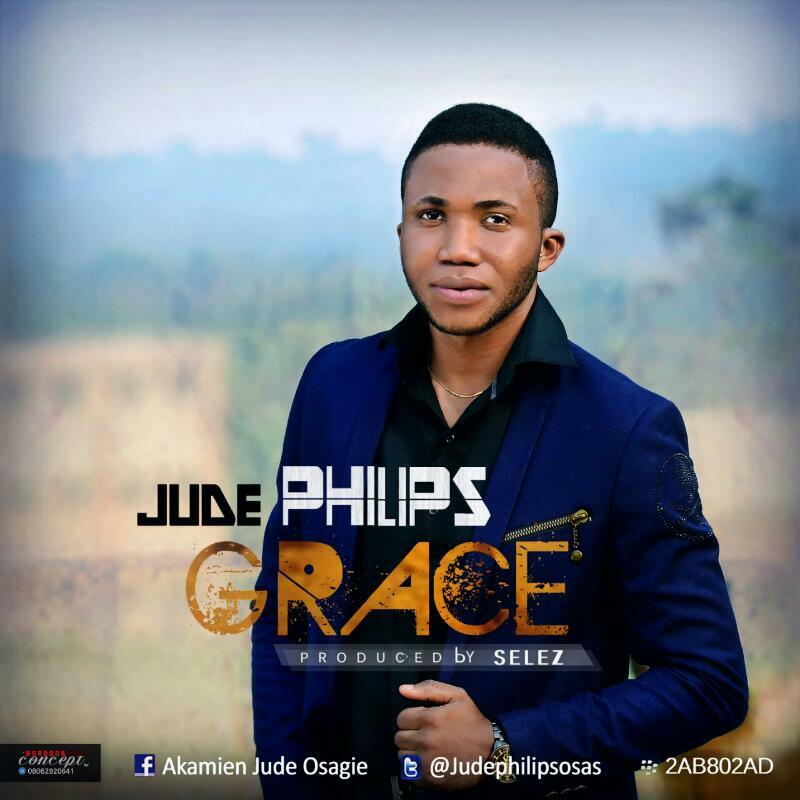 He is a pure gospel artist, a chorus and a passionate praise leader full of the Holy Ghost. His unique quest for spiritual music, opened doors in various dimensions of spiritual and inspirational songs through the help of the Holy Spirit. 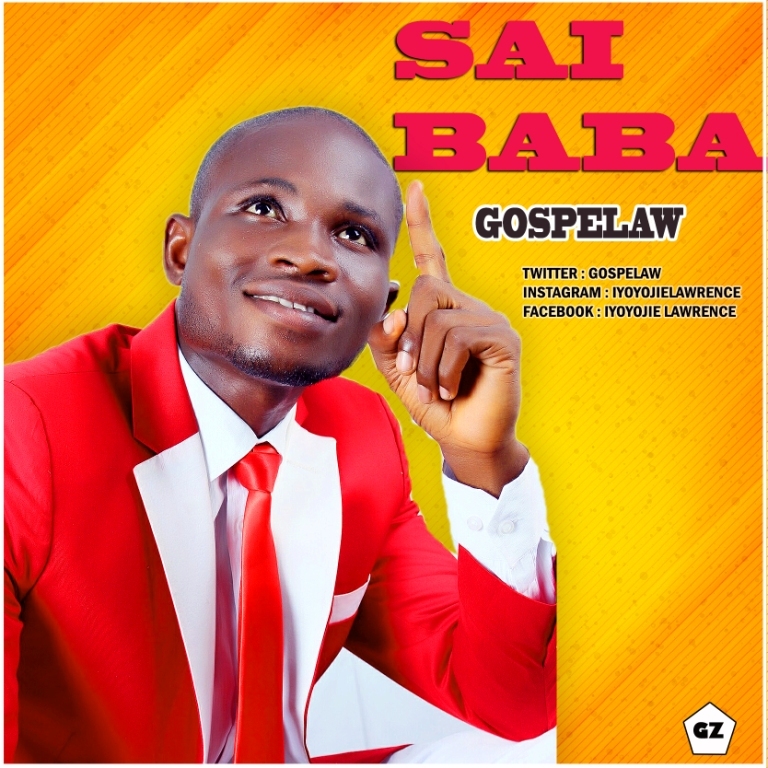 ‘Sai Baba’ is one of his latest Singles. The song is bathed and inspired by the Holy spirit to show fort and proclaim his majesty to the world that the Lord God still remains the same, yesterday, today, and forevermore. And that no man should be compare to him, no man should glorify himself, for He is a sovereign God and all the glory and honour in heaven and on earth belongs to him. We welcome you to a new dimension of worship from God. Nigeria’s fast rising gospel singer, song writer, Composer, Guitarist, Keyboardist, Drummer and music director Oluwasogo Samuel popularly know as Sogodrumzy drops his brand new single, Titled: “Higher”. 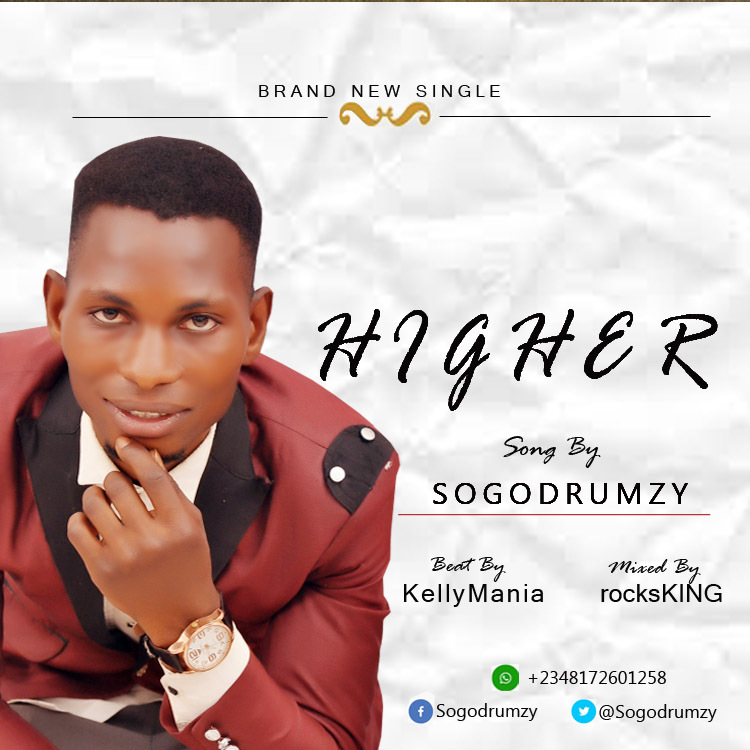 The song “higher” is all about praising the almighty God for what he is doing in our life. 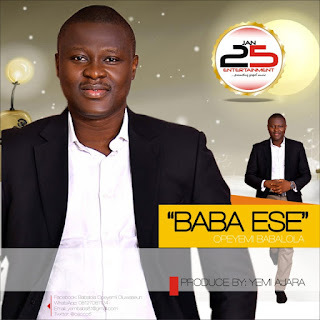 Isa song from is forthcoming album album, Titled “You be God”. It is very unlikely that you listen to this spirit filled song without getting in the mood to dance and praise the almighty God. Alagbara by Almira. Osadolor Deborah Osadebame popularly known as Almira was born in Lagos, Nigeria. 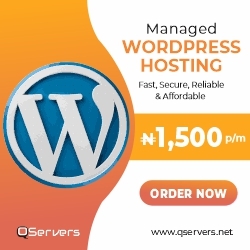 She hails from Edo state, South-South region of Nigeria. 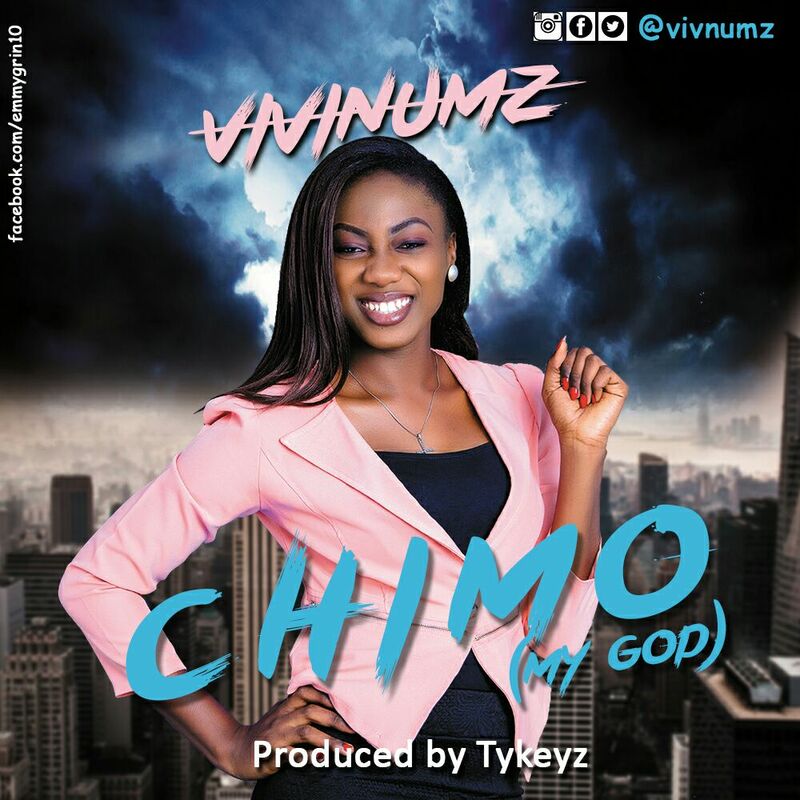 Her father, Archbishop Peter Okoduwa, is a minister in The Pentecostal Church (Dispensational Gospel Mission) and from an early age she developed a love for both music and drumming.She was inspired when she saw Michael W. Smith, a prominent gospel musical icon in concert over twenty years ago and since then, her passion for music has grown and translated into various musical experiences. In her early years, she developed a rather uncommon interest for rock music and began listening, imitating and playing to the music of Michael W. Smith, Sinach, Kirk Whalum, and other rock luminaries. 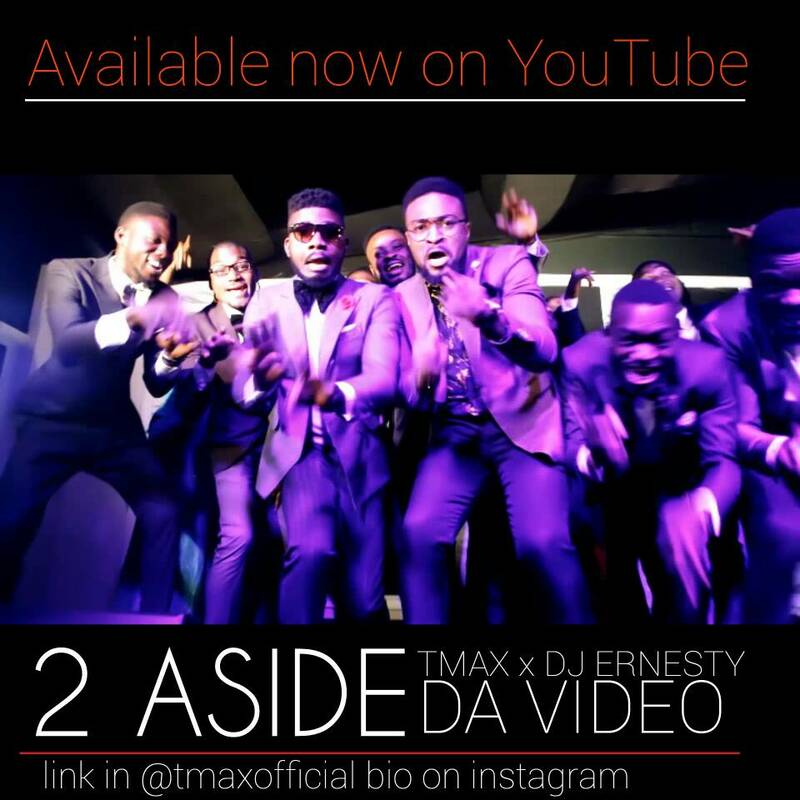 Download enjoy and share the song below! Her zeal for music made her join the choir (The Voice of Grace Choir, Lagos) at the age of 8. About that time, Almira was training and learning the jazz drum which led to becoming the assistant drummer in the church where she grew spiritually.Over time, Almira began sensing a deep yearning within; there was more to her music than she thought.She diligently took time to seek the Lord under the Mentorship and guidance of Pastor Osideko Precious in Christ Embassy under the Love World Ministry for about four years while studying at the University of Lagos. She moved to RCCG (The Redeemed Christian Church of God) after school where she is currently serving God and where she developed an intimate fellowship with the Holy Spirit. 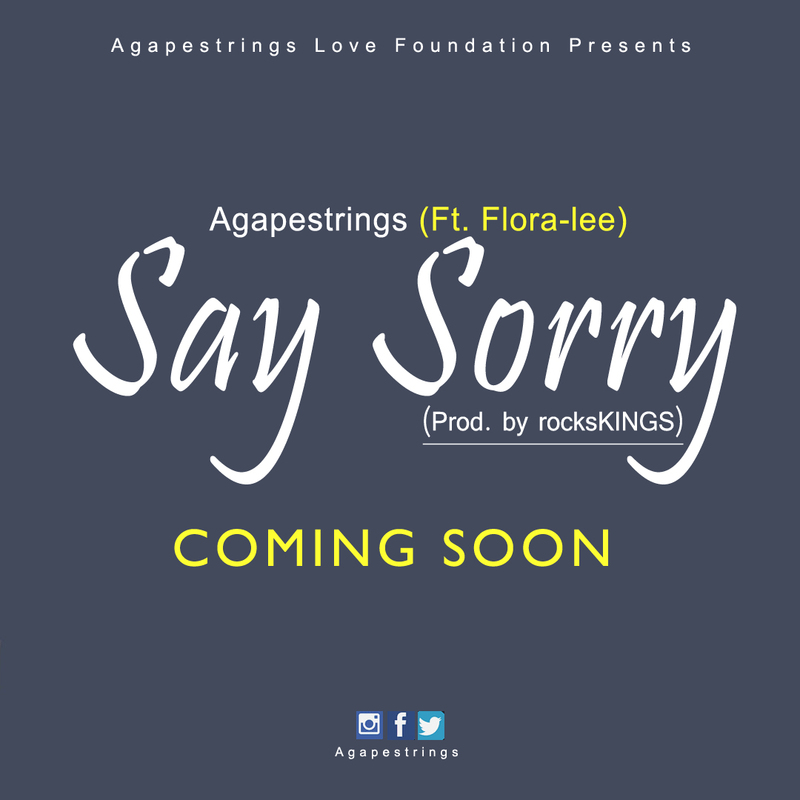 After the successful release of his hit track “Just A Human” that have gain massive air-play worldwide and almost drag down praisejamzblog server with traffic and good number of downloads, Award winning gospel singer, songwriter and one of Nigeria’s most celebrated artiste “Agapetrings” is set to drop another mind-blowing single, titled: “Say Sorry”featuring “Flora-lee” from U.S.A.
Agapestrings is really making great impacts in the Nigeria music industry and the nation at large with his unique style of music. He recently launch his love foundation (Agapestrings Love Foundation) with a concert that was proudly supported by praisejamzblog, tagged:“Show Some Love”– a concert that also serve as a platform to help feed the widows. His yet to release song ‘Say sorry’ is a song that will definitely speak to y’all. Here is a trobak spirit filled song by Rock Town Boss Frank Edward, Titled: Onye (The Story). 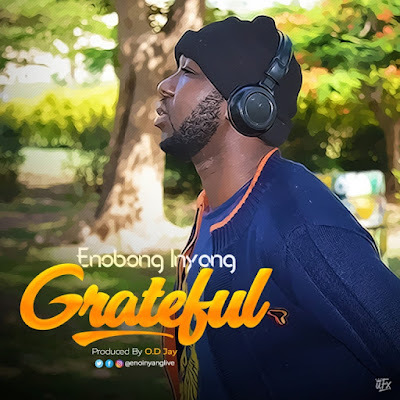 “The story” as the title implies can be described as the life journey of the Frank Edwards as he never stops expressing deep gratitude to God Almighty for the many blessings that are “too much to number. 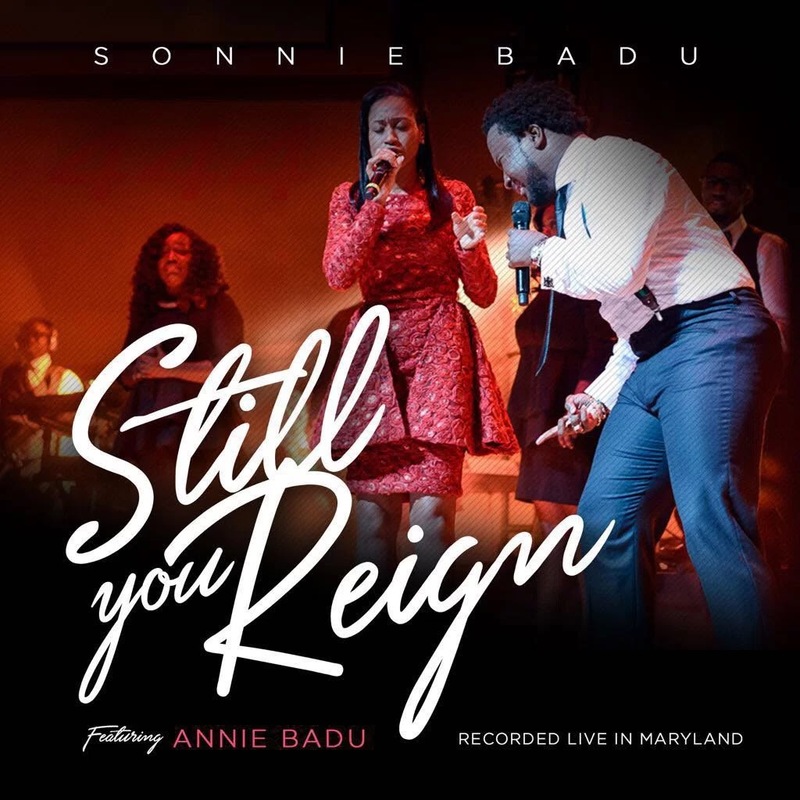 World renowned worship leader, Sonnie Badu has released a powerful worship song titled ”Still You Reign”. No doubt this song will bless worshipers round the world and also put a new song on their lips to lift up the name of our Most High. Listen to the song below and share from the Amazing Experience. 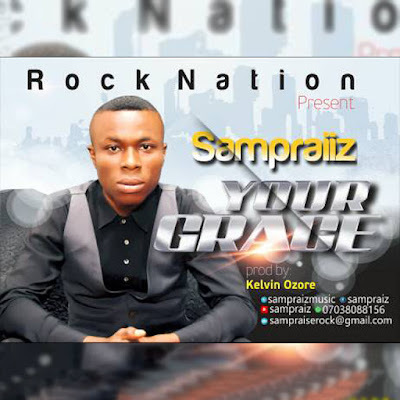 Samuel Nkereuwem popularly known as Sampraiiz is a dynamic music minister, born in to a family of 8 he’s the second to the last, hails from Akwa ibom state, southern Nigeria. He is called to lead people to God’s presence through music, he started singing at a very tender age and since then he has been doing music his ministry is geared towards reaching out to the lost souls, Sampraiz have witnessed the mighty hand of God upon his life and ministry, he’s the CEO of ROCK NATION record label and currently working on songs, also he promised to released few singles before his LP finally dropped. 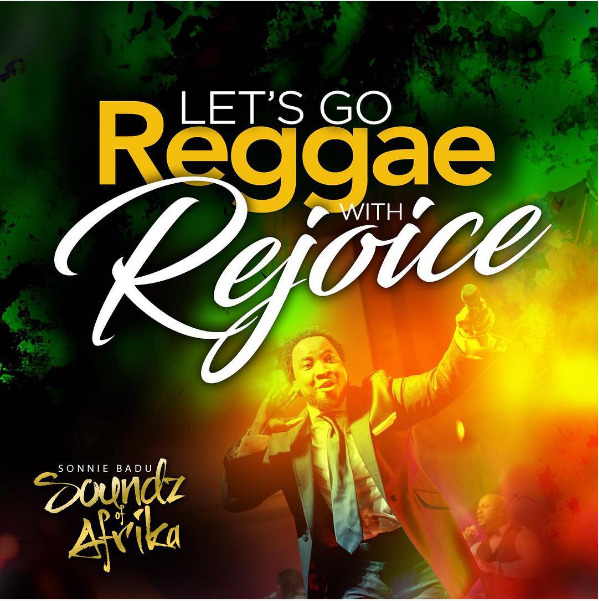 From the just released album ”SOUNDZ OF AFRICA”, comes this powerful mind blowing reggae song from International Ghanaian Gospel music minister Sonnie Badu, Titled ”REJOICE”. ”Let’s go RAGGAE! Let’s go to the islands with Rejoice. With my kids being half Jamaican 🇯🇲 🇯🇲 🇯🇲and half African , I had to represent the Caribbean the best way I could. #REJOICE is one of my favorite songs on the album. This is a song about faith against all odds. On this track, I address a lot of challenges that a lot of people go through but can’t share with anyone. I.e broken marriages, poverty, and not being able to afford 3 square meals for your kids. But in all this, as a child of God, you say it is well with your soul and then you REJOICE. Lily Perez, a graduate of Industrial mathematics from Covenant University, Ogun state, Nigeria with a second degree in Energy Management from Stirling university, Scotland, UK, is a Nigerian based Gospel artist with a burning passion for worship.LILY PEREZ is set to drop her album, titled: “VICTORY” in the coming month..(a Must listen). In this soul lifting single “AMAZING GOD (My Story)”,she shares her story of how God amazingly delivered her from a fire accident. In her own words,’God is still in the business of saving and delivering lives… and he’ll come through for YOU’! The scriptures have it that the liberal soul shall be made fat, how liberal have you been with your act of gratitude to God? 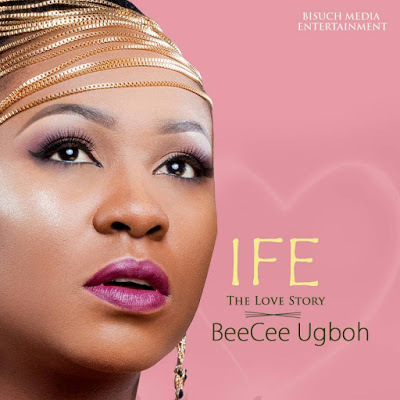 The Englibo Rapper, who is blowing hot this year after her “Never Tire” hit single drops a love song titled “Ife” to celebrate her Husband birthday which happens to be today. “You are my love forever and for eternity… you mean the world to me…thanks for being my friend and angel…. happy birthday to my one and only UCHE UGBOH!!!”. Ugboh BeeCee Ugboh is in one of Nigeria’s Fastest Growing Female Rapper, She is a kingdom hip hop recording artiste who raps with a blend of English and Igbo. She is also a song writer, whose real name is Obiajulu Olabisi Ugboh ; a graduate of political science from Delta State University, Nigeria. She already calved a Niche for her style of music called “ENGLIBO”. and take you to another realm of praising God. 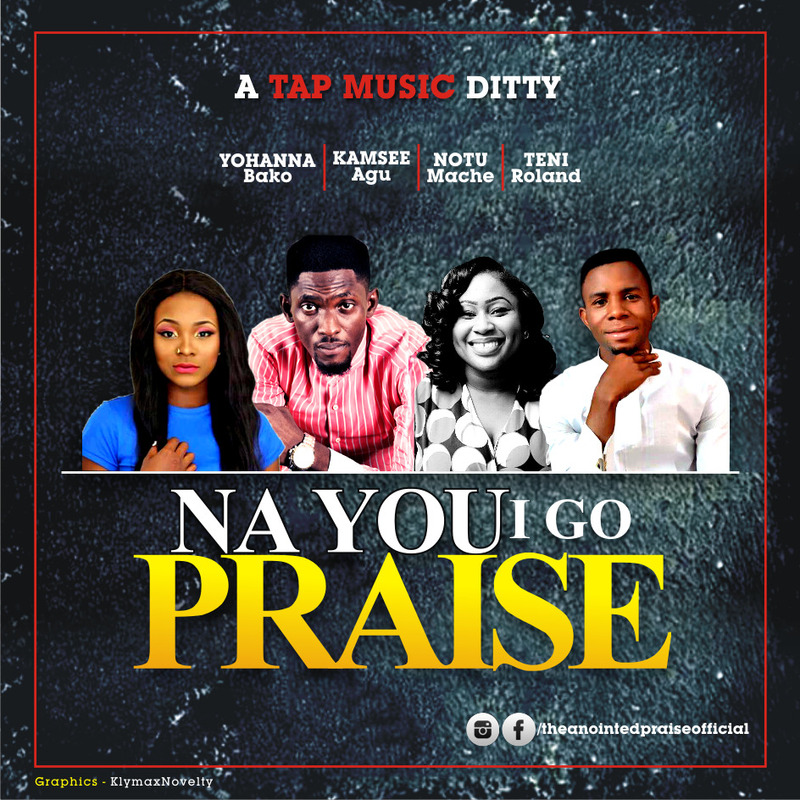 Yohanna makes it his business to see vocalists, musicians, and even churches achieve excellence in their music. He is a ‘performance-enhancer’ and a strategist at making singers and musicians achieve the feats that God has enabled them to. The energetic music minister is a dynamic music director, voice instructor, sensational worship leader, writer, and arranger. He has established himself as an embodiment of unpredictable music ideas and an epitome of praise and worship leading in the body of Christ. He is the president of The Anointed Praise (TAP) Ministries and they have organized several concerts and conferences, as well as performed on several platforms, within Nigeria and Africa. 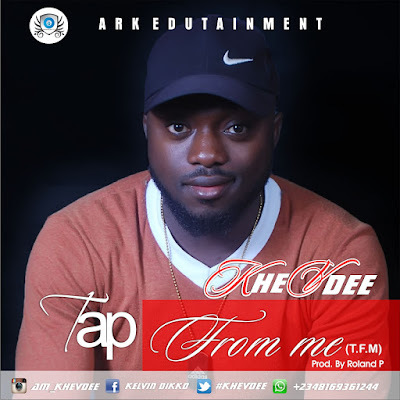 Here comes a brand new soul/RnB song from one of Nigeria’s talented gospel artist releases a titled “He Died“. 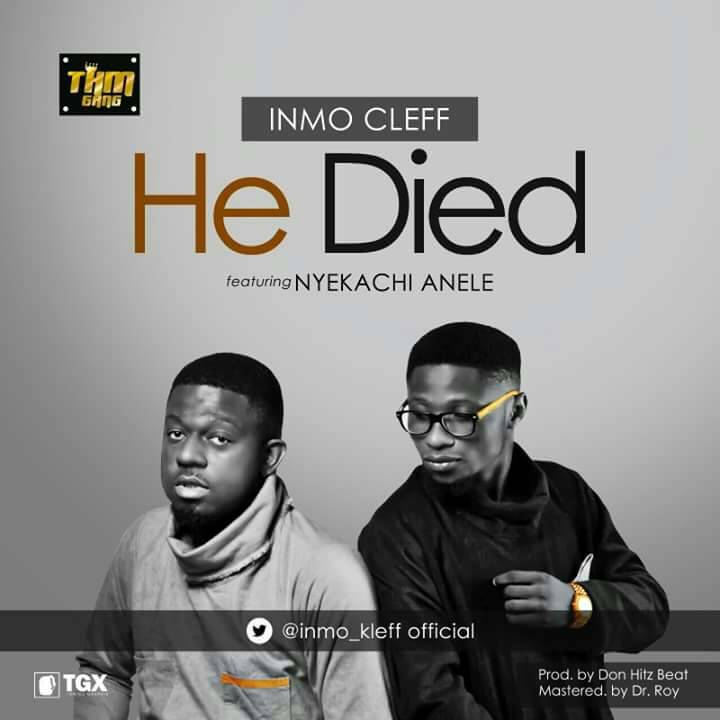 According to Inmo Cleff, the Don Hitz produced track was Inspired by the sacrifice which Jesus made for the human race. Track was mixed/mastered by Dr. Roy. 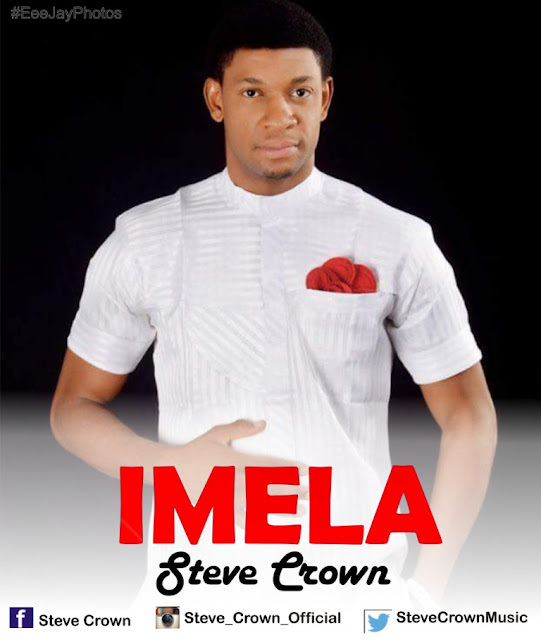 Steve Crown Okolo popularly know as Steve Crown– born into a family of six hails from Benue state. He portrayed interest in music at the age of four and joined Saint John’s Anglican Church choir at the age of seven, he was a member of the famous children’s happiness club named Deacon Kids Band.He has shared stage with many great gospel artist, sang in concerts, crusades, served as Music director in several choirs and singing groups till date. 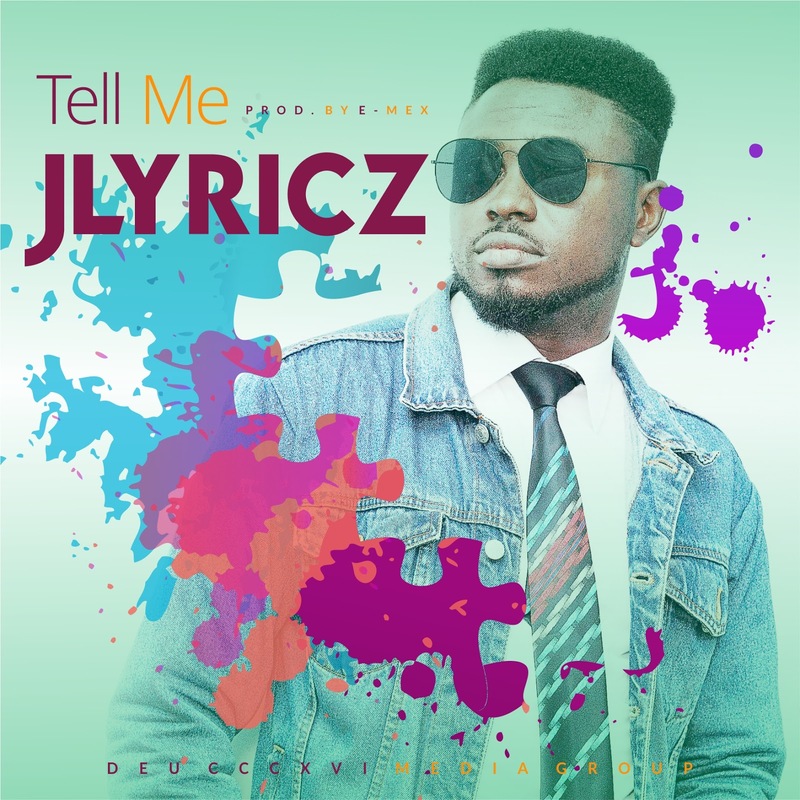 Singer-songwriter, author and poet, Jlyricz releases his first single of the year, titled: “Tell Me” which is also the first single off his soon-to-be-announced project. After the successful release of the his single, Higher (Part 2) featuring Real Joy and the subsequent release of The Redeemed EP in December 2016, Jlyricz started work on a new project and Tell Me is the first offering off it.‘Tell Me’ is a song I received in the place of prayer a couple of years back when I was not even ready for the ministry. I used to pray and worship around midnight and sometimes I would run out of songs and I’d start singing whatever comes out of my mouth. That was the birth of Tell Me and a couple of other songs. At first I didn’t know what to do with it but here it is now. Tell Me is produced by the amazing E-Mex. “Baba Ese” is a song composed to reveal the awesomeness of God in our lives. God has been our shield and buckler right from the womb and till now, He is still God over us. church choir as the choir coordinator and also Convener, The KING WORSHIPERS Group, a group of individuals who have passion for worshiping the KING of kings in praise and worship. Preye Odede present a wonderful and powerful song title Oshimiri Atata (the river that never runs dry). Lily Perez, a graduate of Industrial mathematics from Covenant University, Ogun state, Nigeria with a second degree in Energy Management from Stirling university, Scotland, UK, is a Nigerian based Gospel artist with a burning passion for worship. LILY PEREZ is set to drop her album, titled: “VICTORY” in the coming month..(a Must listen). In this soul lifting single “AMAZING GOD (My Story)”, she shares her story of how God amazingly delivered her from a fire accident. In her own words,’God is still in the business of saving and delivering lives… and he’ll come through for YOU’! 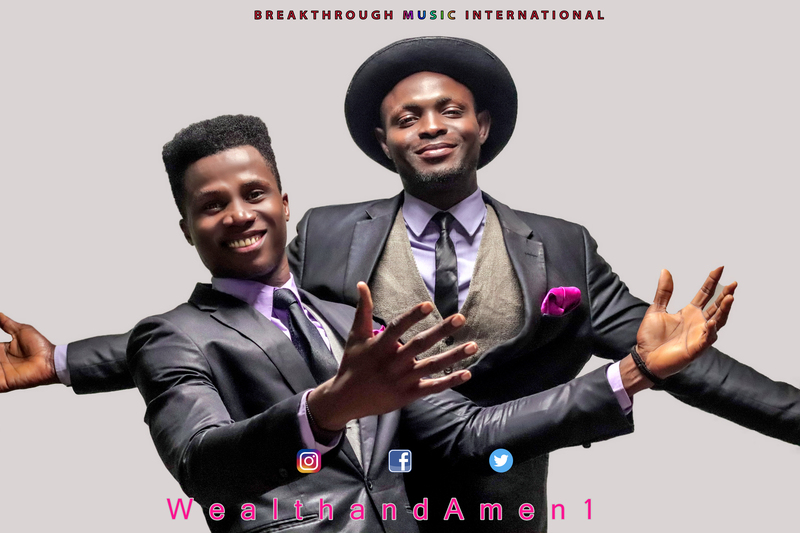 The CEO and founder of Worship Empire “Franzy Amaechi” drops a brand new single, titled: “Chukwubuka” featuring the voices of amazing singer “Uchechukwu Osakwe”. Chukwuebuka which means “God is too Big” is a lovely song that will definitely bless y’all.